For 10 days this summer, restaurants throughout Alexandria offer a $35 prix-fixe three-course dinner or $35 dinner for two. 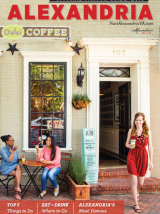 Foodies can savor the flavors of Alexandria&apos;s distinctive collection of eateries, from fine dining to casual neighborhood gems. Alexandria is known for its independently owned and chef-driven restaurants. Alexandria, VA - Alexandria Summer Restaurant Week is back, August 17-26, 2012. 55 restaurants throughout the city will feature a $35 prix-fixe three-course dinner or $35 dinner for two. For 10 days and two weekends, diners can treat themselves to the culinary creations of Alexandria&apos;s distinctive collection of eateries, from fine dining to neighborhood gems. Chef Cathal Armstrong&apos;s newest Alexandria venture, Society Fair, makes its Restaurant Week debut - joining two of his other establishments, The Majestic and Virtue Feed & Grain. Layla&apos;s Lebanese Restaurant is also new to the event. Diners can sample menus by the new executive chef at The Grille at Morrison House and Jackson 20, Brian McPherson. Restaurant Week menus and online reservations are available on VisitAlexandriaVA.com. Foodies can peruse the list of participants, which includes Washingtonian&apos;s "100 Very Best Restaurants" pick The Majestic plus OpenTable Diners&apos; Choice Winners La Bergerie, A la Lucia, Tempo, Geranio, and Monroe&apos;s - An American Trattoria. More notable favorites include Bastille, Cheesetique, Columbia Firehouse, Fontaine Caffe & Creperie, The Warehouse, and Delia&apos;s Mediterranean Grill. Alexandria is known for its independently owned and chef-driven restaurants. This bi-annual event enables residents and visitors to experience Alexandria&apos;s diversity of restaurant choices and taste the culinary inventiveness of local chefs. The August 2012 event is the third time Alexandria Restaurant Week has been offered in the summer. Alexandria Restaurant Week was launched in 2009 and has been popular with patrons and restaurateurs ever since. The Alexandria Convention & Visitors Association coordinates and markets the event, which is free for participating restaurants. In addition to serving as an economic driver for Alexandria restaurants, Alexandria Restaurant Week builds the Alexandria brand as it helps the city to become known as a culinary destination.